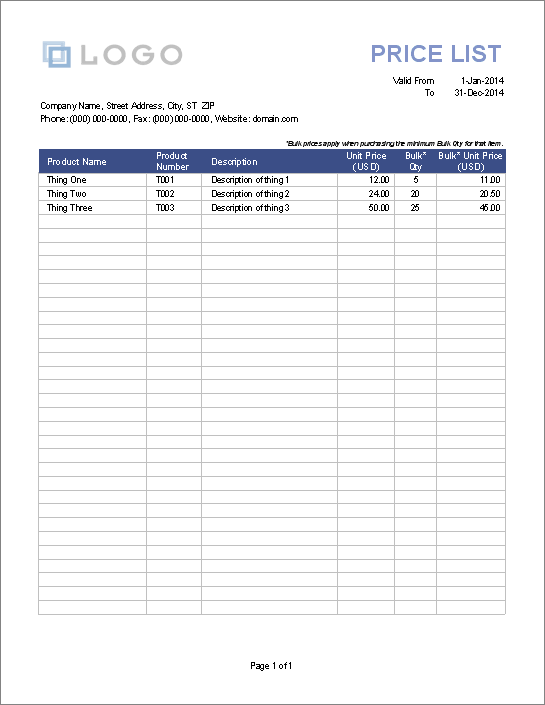 Our free Price List Template can help you create a professional looking price list for your products or services that you can share with your customers. The template was designed to allow you to print to paper or to a PDF, depending on how you want to share it. Or, if you want to just use it as a starting point for your own records, that's fine too. 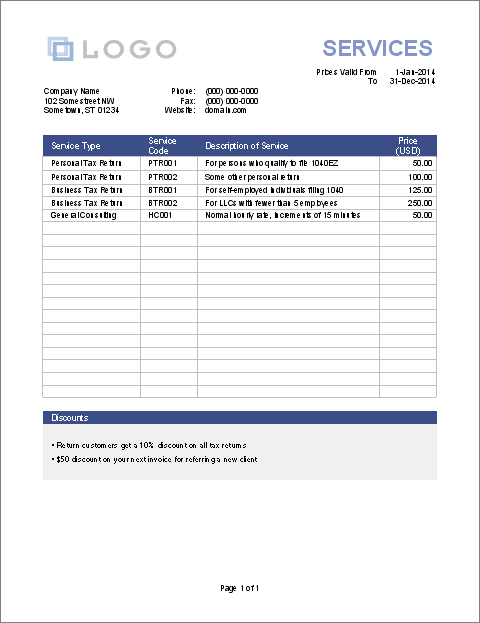 We also have a price quote template that you can use if you want to give a customer a unique quote on specific services or products. Just as with a more formal price quote, you can include a range of dates on your price list to indicate how long your prices will be valid. You should at least include a note about when the prices were last updated. That way, if your customer calls and mentions a specific price, you can find out what version of the price list they may be looking at. You also may want to add a note that "prices are subject to change." 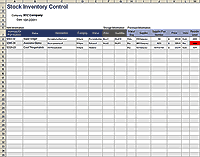 This template includes 3 separate worksheets for listing products, services, or products with bulk pricing. See the screenshots above to view each of these different price lists. This spreadsheet is extremely easy to use. There aren't even any formulas in it. 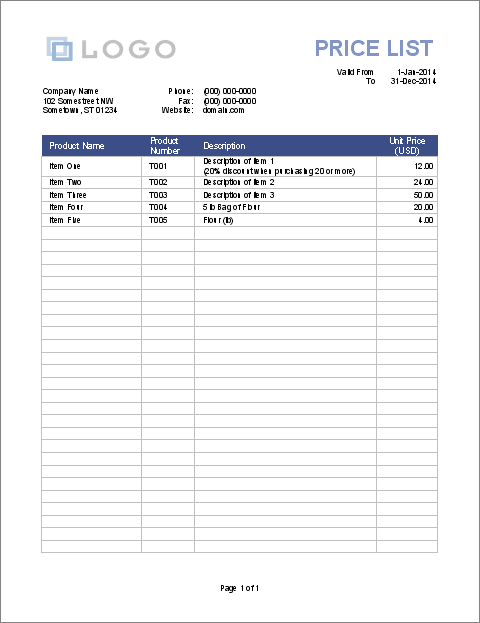 Some suggestions for how to use it or customize it are included to the right of each price list worksheet. Creating a PDF: If you are using Excel 2010 or later, you can create a PDF by just going to File > Save As, and choosing PDF from the list of file types. In other versions of Excel, creating a PDF may require using a print driver or some other PDF conversion software.